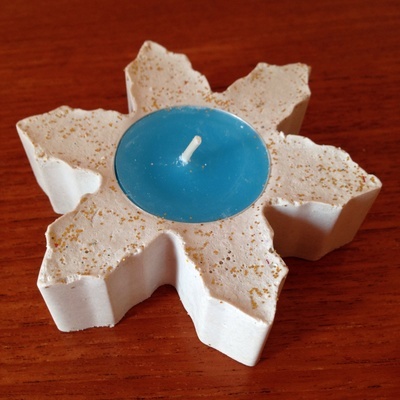 Create a pretty candle out of plaster of Paris. 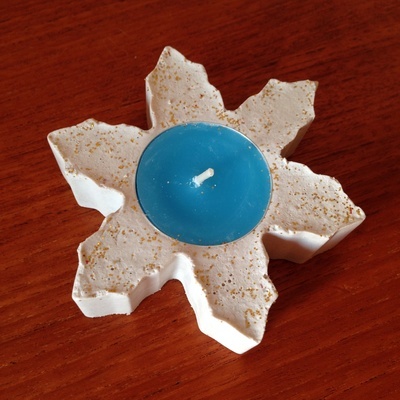 We used a snowflake cookie cutter to make a festive 'Frozen' candle. It would make a great gift for Christmas. Time: 20 minutes plus 24 hours drying time. 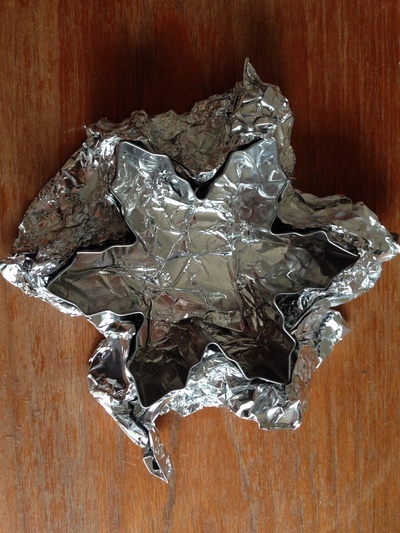 Scrunch the aluminium foil tightly around the base of the cookie cutter to make the mould. 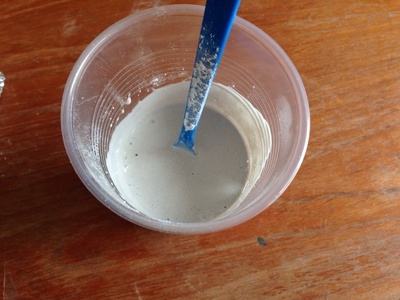 Mix the plaster of Paris powder according to the instructions on the pack. We added 2 parts plaster to 1 part water. 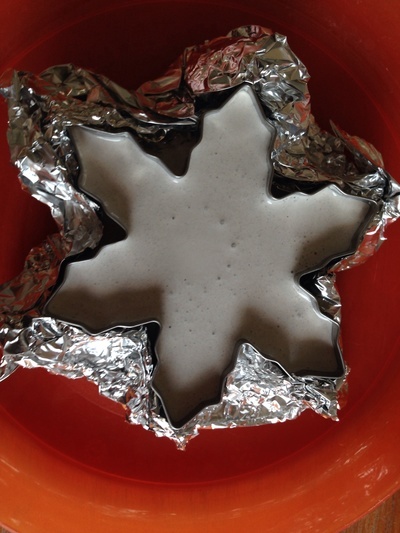 Pour the plaster of Paris into the cookie cutter mould and tap gently to release any bubbles. When it starts to set, push a tealight candle into the plaster and weight down the candle with a coin. Share some glitter on top of the damp plaster for some sparkle. Remove the aluminium foil when set. 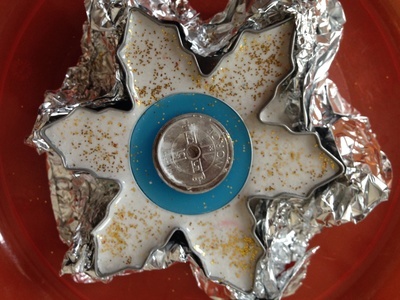 Allow to dry for a further 24 hours then press the plaster candle gently out of the cookie cutter.